Original cast members David Morrissey and Johnny Flynn will reprise their roles, with full casting to be announced. Following a sell-out run at the Royal Court Theatre, producers Robert Fox, Matthew Byam Shaw for Playful Productions and Royal Court Theatre Productions are delighted to announce that Matthew Dunster’s production of Martin McDonagh’s Hangmen will transfer to the West End for a strictly limited season. Previewing from 1 December, the production will have a press night on 7 December at Wyndham’s Theatre. Tickets for the run go on sale at 12 noon today. After a decade-long absence from the London stage McDonagh returned to the Royal Court Theatre with Hangmen in September 2015 to critical and public acclaim, with tickets selling out for the production’s entire run. Original cast members David Morrissey and Johnny Flynn will reprise their roles for the transfer, performances which were heralded at the Royal Court Theatre. In his small pub in Oldham, Harry is something of a local celebrity. But what’s the second-best hangman in England to do on the day they’ve abolished hanging? Amongst the cub reporters and sycophantic pub regulars dying to hear Harry’s reaction to the news, a peculiar stranger lurks, with a very different motive for his visit. Martin McDonagh’s work for the Royal Court Theatre includes Hangmen, The Beauty Queen of Leenane, A Skull in Connemara and The Lonesome West (Druid Theatre/Royal Court and Broadway). Other theatre includes The Cripple of Inishmaan (National/Noel Coward/Broadway), The Pillowman (National/Broadway), The Lieutenant of Inishmore (RSC/Garrick/Broadway) and A Behanding in Spokane (Broadway). For film (as Writer/Director) credits include Six Shooter (Short), In Bruges and Seven Psychopaths. Martin has been awarded an Olivier Award for Best New Comedy (The Lieutenant of Inishmore), an Olivier Award for Best New Play (The Pillowman), an Academy Award for Best Live Action Short Film (Six Shooter) and a BAFTA for Best Original Screenplay (In Bruges). Matthew Dunster’s credits for the Royal Court Theatre include Hangmen and Liberian Girl. His other credits include The Seagull and A Midsummer Night’s Dream (Open Air Regent’s Park), Love’s Sacrifice (RSC), The Lightning Child and Doctor Faustus (Shakespeare’s Globe), The Love Girl and the Innocent and You Can Still Make a Killing (Southwark Playhouse), Mametz (National Theatre Wales), Before the Party (Almeida), A Sacred Flame (English Touring), Saturday Night and Sunday Morning (Royal Exchange Manchester), Mogadishu (Royal Exchange, Manchester and Lyric Hammersmith), The Most Incredible Thing (Sadler’s Wells), The Two Gentleman of Verona (Royal and Derngate, Northampton). As a writer, his credits include Children’s Children (Almeida) and You Can See the Hills (Royal Exchange Manchester). 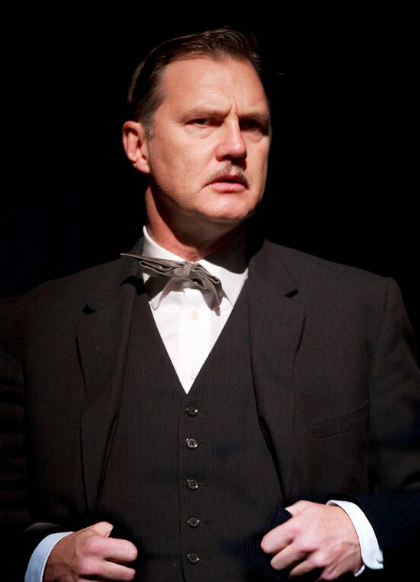 David Morrissey’s credits for the Royal Court Theatre include Hangmen. Other theatre includes In a Dark House (Almeida), Macbeth (Liverpool Everyman) and Peer Gynt (National). His television credits include The Driver, Red Riding, Field of Blood, South Riding, The Walking Dead, Extant, The 7.39, True Love, Our Mutual Friend, Clocking Off, Holding On, State of Play, The Deal, Viva Blackpool and Blackpool. Film credits include Richard II, Sleepyhead, Scaredy Cat, Welcome to the Punch, Hilary and Jackie, Some Voices, Born Romantic, Captain Correlli’s Mandolin, Derailed, Stoned, The Reaping, The Waterhorse: Legend of the Deep, The Other Boleyn Girl, Centurion, Nowhere Boy and Earthbound. Awards include Arena Awards for Best Television Actor (Viva Blackpool). Johnny Flynn’s credits for the Royal Court Theatre include Hangmen, Jerusalem, The Low Road and The Heretic. Other theatre includes Richard III, Twelfth Night (Globe/Apollo), Jerusalem (Apollo) and Twelfth Night/ Taming of The Shrew (Old Vic/Tour). His television credits include A Devotee of Art, Brotherhood, Detectorists, Scrotal Recall, Kingdom, Holby City and Murder in Suburbia. His film credits include Small Holding, Love is Thicker than Water, Clouds of Sils Maria, Song One, Apres Mai, Lotus Eaters and Crusade in Jeans.